Here’s some video of Jamie, my Mom, and I feeding the Seagulls at Stanley Park in Vancouver, B.C. 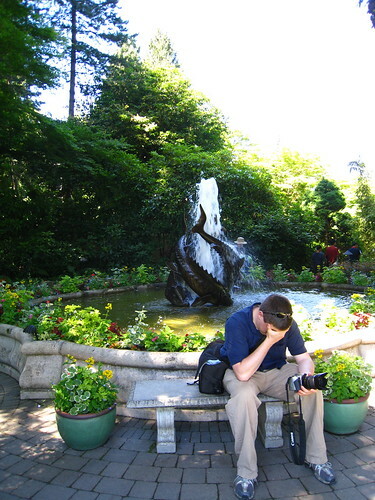 Butchart Gardens » Originally uploaded by Jamie. Looks like I had too much flowers for one day. WaMu Family Fourth Fireworks 2008 from Ryan Prins on Vimeo. WaMu Family Fourth » Originally uploaded by rprins. Hope that you all were able to go out and enjoy the Fourth of July yesterday. Lucky for us in Seattle, the rain missed us and we were able to enjoy a pretty fantastic fireworks show on Lake Union. You can check out my entire set of photos from the night in my WaMu Family Fourth 2008 Photo Set. Author RyanPosted on Saturday, July 5th, 2008 Saturday, July 5th, 2008 Categories PhotosTags Photos2 Comments on Happy Fourth of July! Seattle Skyline at Dusk » Originally uploaded by rprins. Here’s the view from my new place (w/ Jamie) at dusk this past weekend.